Human rights activist Valiantsin Stefanovich has received replies from the authorities to his appeal to the Constitutional Court concerning discrimination of Belarusian-speaking citizens – virtually all the laws in the country are adopted in Russian, there is no official translation of legal acts into Belarusian, the other official language of the country. However, the officials don’t regard it as discrimination. A. Karavai, doesn’t give an esential answer to the question of whether Art.7 of the Law “On Languages” and Art. 54 of the Law “On normative legal acts” are compatible with the Constitution. At the same time, the answer states tha the Constituional Court has repeatedly considered appeals concerning the equal use of the two official languages in the service of bank cards, the state social insurance system, the organization of centralized testing for entrants and in the names of settlements. The Supreme Court gave the following answer, signed by its deputy chairman A. Zabara: “In accordance with Art. 17 of the Constitution, the state languages of the Republic of Belarus Republic of Belarus are Belarusian and Russian. 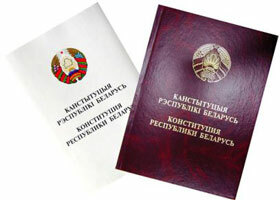 The Constitution of the Republic of Belarus doesn’t provide for the obligatory publication of acts of state bodies of the Republic of Belarus in two official languages – Russian and Belarusian. Thus, there is no reason for proposing the Constitutional Court of Belarus to verify the compatibility of the aforementioned norms with the Constitution of the Republic of Belarus”. The House of Representatives of the National Assembly, as previously reported, also sees no reason to appeal to the Constitutional Court. The Council of the Republic holds the same position, while its response notes that a number of articles of the Law “On Languages” provide the opportunity to choose the Belarusian or Russian language. In addition, the letter with reference to the Law “On normative legal acts” emphasizes that the official publication of the legal act in other languages is allowed only if there is an official translation into the corresponding language. The Presidential Administration offers to use the translation at the website of the National Center of Legal Information. As it is stated in the answer, signed by Head of the State Law Department of the Presidential Administration A. Matselski, “the data bank ( … ) provides for high-quality translation of legal acts from the Russian language into the Belarusian and vice versa”. The human rights activist stresses that he will raise this issue at the international level, in the Human Rights Committee of the United Nations. Even today there are several precedents when citizens are refused in the conduct of the trial in Belarusian, with reference to the law “On languages”.